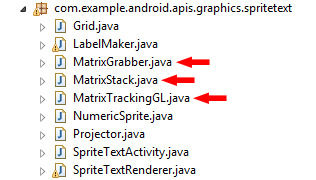 Get these classes and add them to the package that contains the Activity which sets your GLSurfaceView object as the current View. A lot of errors will occur, mostly because of naming issues and imports. Just fix these errors and let’s start programming.